Ultimate Frugality - A Dress Made From Ramen Noodle Packs. Ultimate Frugality – A Dress Made From Ramen Noodle Packs. I don’t really have anything to say other than being frugal sometimes goes too far. 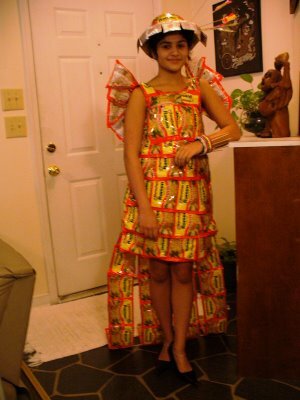 196 packs of Ramen noodles, and you get this dress. Yes, I know it is for an art project, but still, it made me think about how far people might be willing to go to save a buck. If you are going this far in real life, you have gone too far.